Happy Thursday! 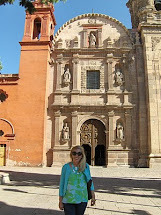 Today I'm joining the fun of Pink and Green Thursday with Trish. Lately, I've been thinking a lot about parties since I'm working on my dear sister's baby shower and the minnies' First Communion. Here are some of my favorite preppy pink party finds. Hope you enjoy them and get some inspiration for a future party that you are planning. 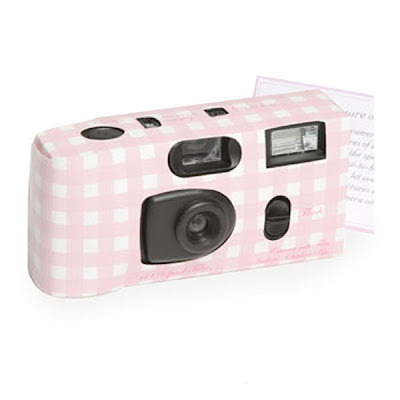 with this pink gingham disposable camera. Cupcakes are so popular at parties! 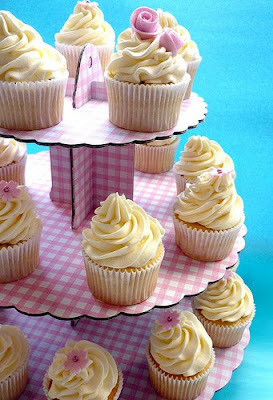 Even the most simple cupcakes will look fabulous on this pink gingham cupcake stand. Old fashioned paper straws make any drink special. 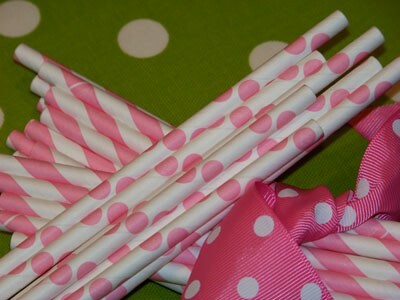 Add a little flag to these pink polka dot paper straws and you can label each guest's drink. This is an elegant way for your party peeps to know which drink is hers. Illumination at an evening party is an excellent way to add elegance to a party. Hang dozens of these votive holders and see the party in pink. 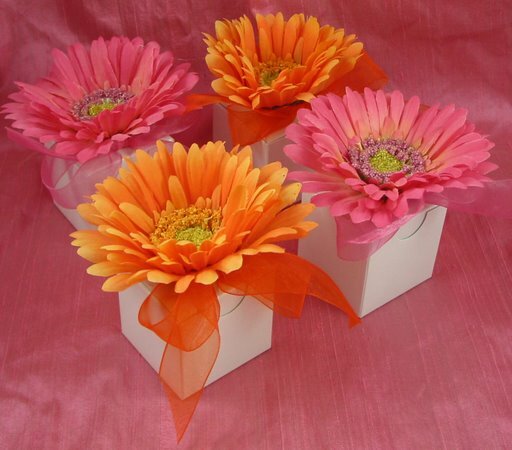 These gerber daisy favor boxes add a gorgeous flair to any tablescape and serve as both decorations and favors. Gerber daisies are my favorite flower and pink gerber daisies are the best! Party guests big and small will love these retro pink gumball machines! I am in love with the straws! The straws are so cute and I could totally see them cut in half for mini milkshakes or something like that. 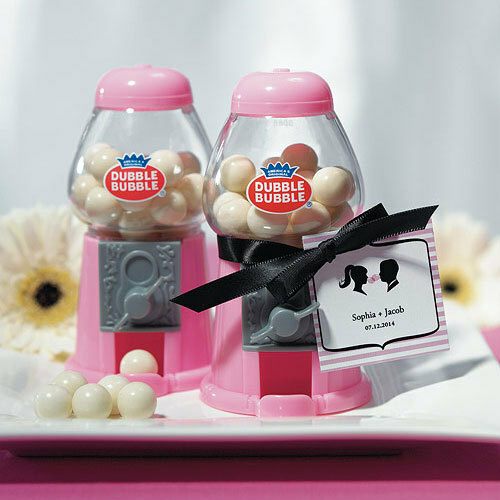 I also think the mini gumball machines are a fantastic idea. Great tips! 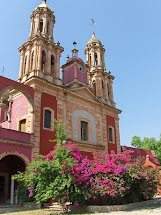 Those flower boxes are just too cute! I need to throw a party with those straws! What cute ideas. Good luck with your party planning, so have a good start so far. Oh boy, I love those Gerber daisies. Very cute items. I love the cupcake stand.